A surging global South and aging North has produced significant South-North population pressure: roughly 60 million from the third world resided in the developed world by 2007. 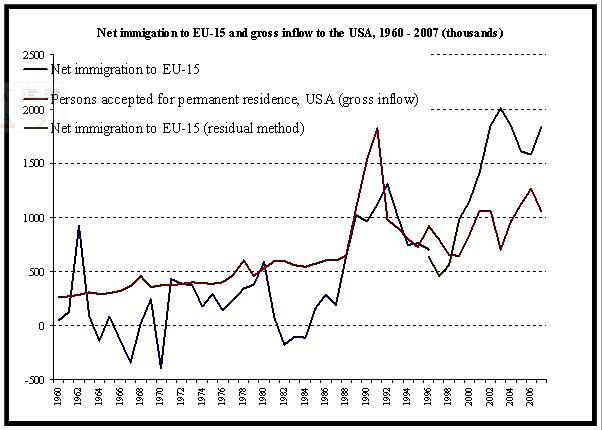 Net immigration into both the EU 15 countries and the United States is over one million immigrants per year, but inflows to Europe appear to be overtaking those to the USA. 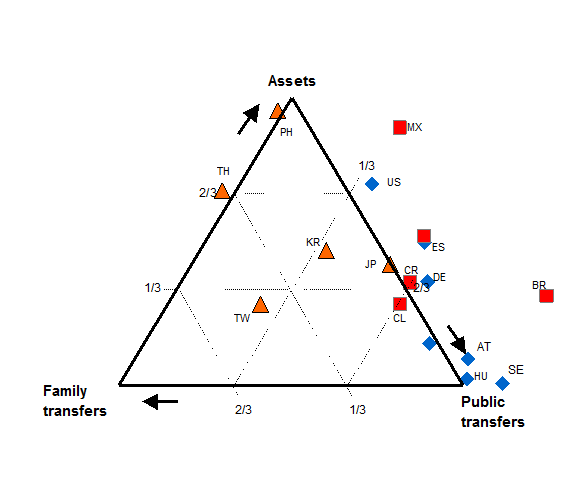 (See figure 1) In 2006, the gross inflow into the EU 27 countries was 3 million and the net influx 1 million, of which 60% was from non-EU countries, and a quarter each from the rest of Europe, the Americas, Asia and Africa. Migration theory tells us that one of the strongest drivers of immigration is the presence of networks of co-ethnics in the country, who can provide the financial support, social networks, local information and sometimes marriage partners necessary for newcomers to establish themselves. 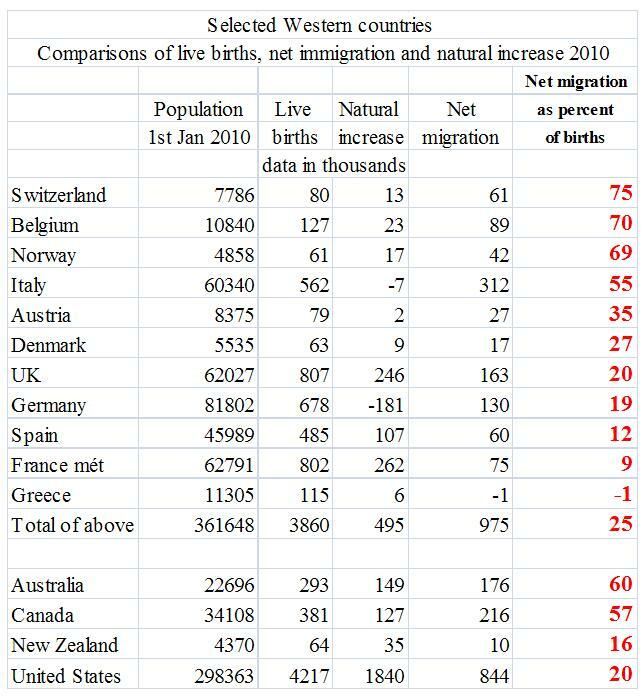 Thus a disproportionate number of newcomers to Germany, Holland and Belgium are Turks and Moroccans, while those from Pakistan and Bangladesh favor Britain, and Somalis or Iraqis may find their way to Norway and Sweden. 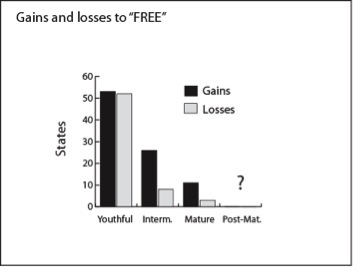 Source: Coleman, D. (2011) ‘The Changing Face of Europe’, in J. A. Goldstone, Eric Kaufmann and Monica Duffy Toft (eds.) Political Demography: How Population Changes Are Reshaping International Security and National Politics (Oxford University Press, 2012). This excludes illegal immigration, believed to be about 500,000 annually in the case of the US. 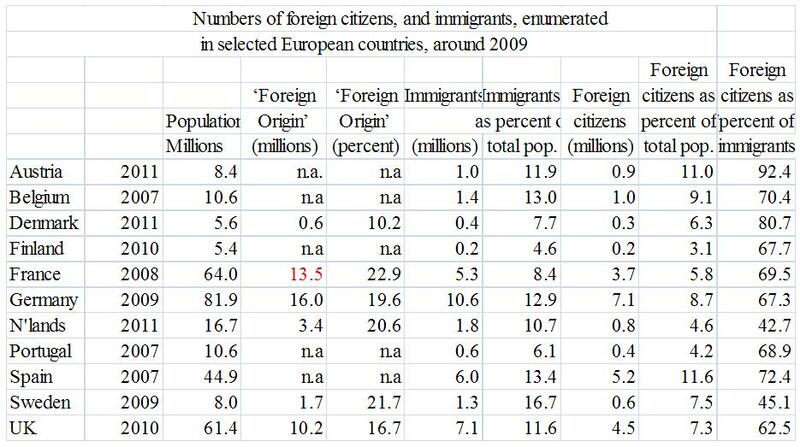 The EU data include immigration from other EU countries. Net annual immigration to EU countries from outside the EU is about 1 million. Might the numbers come down? Everywhere in Europe since 1987, Far Right anti-immigration parties have been making headway. Centrist parties have got the message and are also talking tough on immigration. No European government campaigns on the kind of open immigration platforms one finds in Canada, or among liberals in the United States. But it is difficult in practice to reduce numbers because of the influence of pro-immigration business lobbyists, family reunification provisions and asylum regulations. Denmark and Holland have successfully reduced their intake by imposing stiff language and marriage requirements for prospective citizens. Denmark’s annual intake, for instance, dropped from 9,300 to 3,900 between 2001 and 2006. But these are outliers. Overall, immigration to Europe remains steady at around 1 million per year. The fastest aging societies – Italy and Spain – have admitted the largest number. Spain, which contained fewer than 200,000 foreign-born as recently as 1985, now has 4 million non-EU born residents and another 2.2 million EU-born. In 2009 alone, over 300,000 entered Italy. 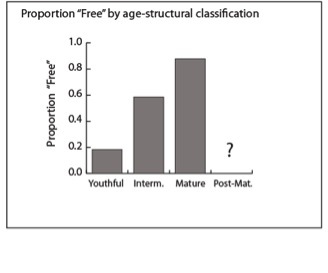 This suggests that as Europe ages, it may increase its immigration flow. 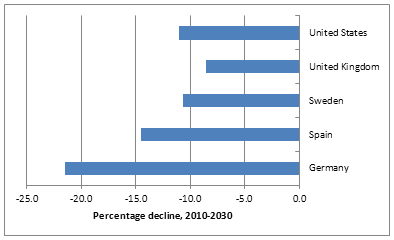 Migrants from Eastern Europe – typically the younger, most dynamic elements of their (aging, declining) countries, are an important aspect of the post-2004 immigration flow. They are generally preferred to those from outside Europe. Britain contains over a million residents from Eastern Europe (both EU citizens and non-EU). 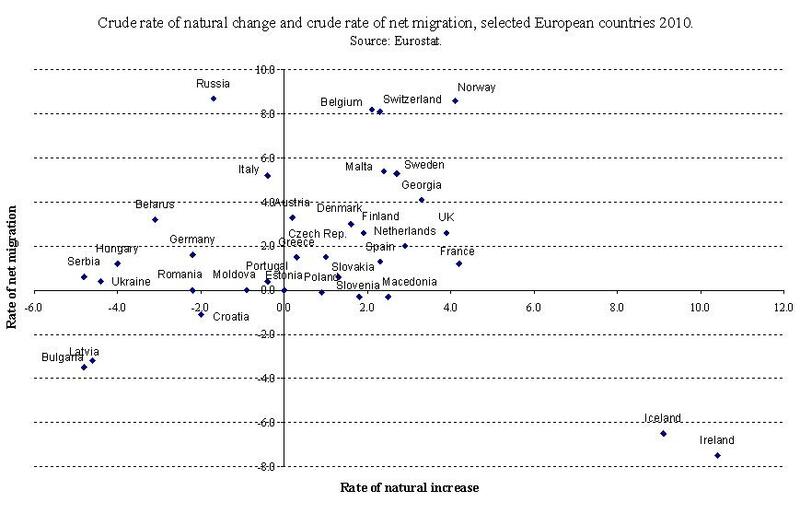 Ireland also contained many prior to the economic downturn. Spain is home to numerous Romanians and Ukrainians. East Europeans are among the most mobile elements of the immigration flow, and some have returned home since 2008 due to adverse economic conditions. Still, most have stayed on, many with their families, and this can be seen in the makeup of various states’ populations. Thus most west European countries are, like the United States, about 10 percent foreign-born, with East Europeans comprising perhaps 10-20 percent of that total. Immigration has been a technique of nation-building pioneered by France in Napoleonic times, given that country’s historically low birthrate compared to its chief rivals Britain and Germany. Yet it is noteworthy that immigration is not a long-term solution to the aging problem: immigrants’ age and their family sizes converge to host levels, thus the number of immigrants required to You carefully select your attire, because you know that, actually, you are the real star!You will find on Astrotheme thousands of natal charts of celebrities who have the Sun in Leo, leo love horoscope rising, or the Sun dominant. maintain a given age structure As a best-horoscope.com born on October 2nd, you are well-known for your cleverness, imagination and diplomacy. multiplies exponentially. In fact, merely to maintain their Learn more ›What online casino is Speed-Pay?Sponsored buy non prescription viagra online byCopyright © 2014 Harvard Business interior design schoolsPublishing. working age population sizes, the 15 pre-accession EU countries need to bring in 1.5 million net immigrants per year, roughly twice the current intake. To maintain the same dependency ratio – between those of working age (15-64) and those over 65 – about 13.5 million are needed each year, 20 times the current influx. The demand for labor in sectors like construction, care for the elderly and services will remain high, and business will continue to lobby for more workers. Therefore we should expect immigration to remain at levels of at least 1 million per year. 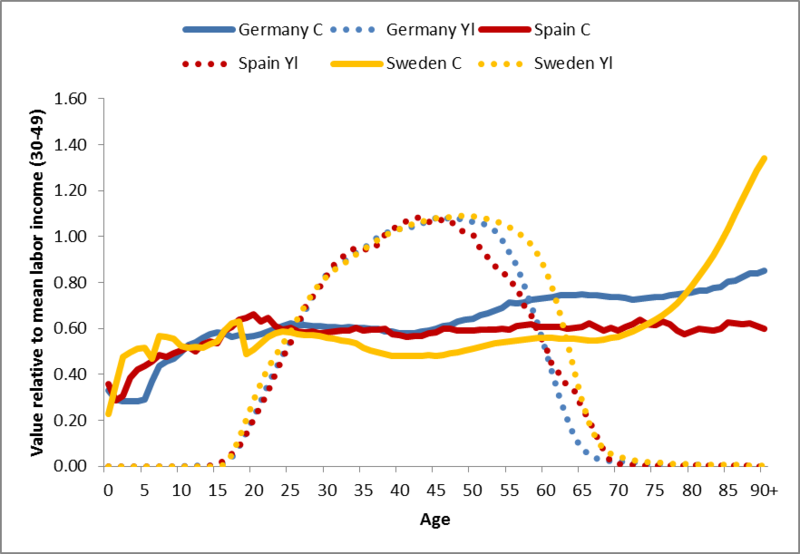 If anything, as the examples of rapidly aging Spain and Italy show, numbers may rise as Europe grows older. Though the EU contains more people than the United States (500 million vs. 300 million), its total fertility rate of 1.5-1.6 is much lower than that of the US (2.1). Second, in Europe, immigration is concentrated in the west – despite an increasing flow of central Asians to Russia, and Russians and Ukrainians to Eastern Europe. 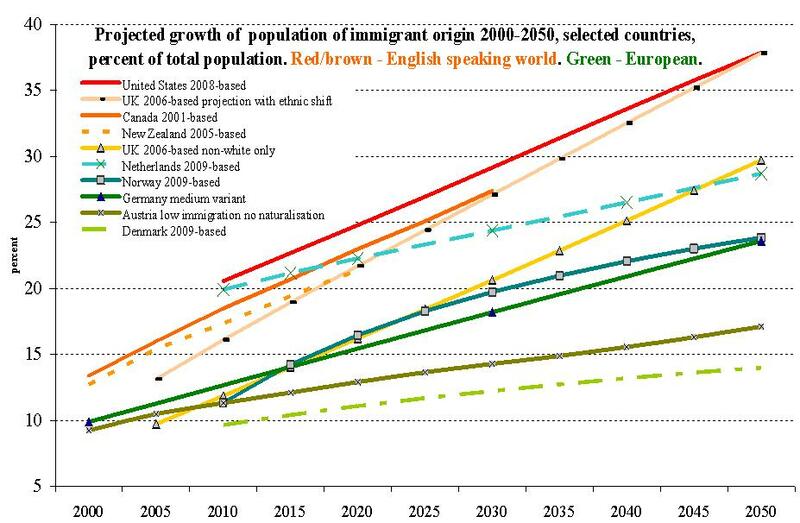 The pre-2004 EU has a roughly similar population to the US and is a good basis for comparison. The white (non-Hispanic) share of the American population will decrease from about 65 to 50 percent between 2010 and 2050. During this same period, the native-born white share of Europe’s population is projected to decline from 95 to about 85 percent. Note, however, that while the proportion of minorities in the US will increase from a third to a half (a 50 percent increase), it will jump from 5 to 15 percent in western Europe, a 300 percent increase. In addition, approximately half the minority growth in Europe will be Muslim, a much larger share than in the United States. The rate of change is therefore more dramatic and unprecedented in Europe, and will be especially marked in the urban areas where the overwhelming majority of the non-European population resides. If we focus on major west European immigration gateways, the change is even more rapid. England is likely to be 25% minority in 2050 writes demographer David Coleman, and in Sweden, according to Pew’s recent report, Muslims alone will comprise nearly 14% of the population in 2030 and will double in number in most countries over the next twenty years. 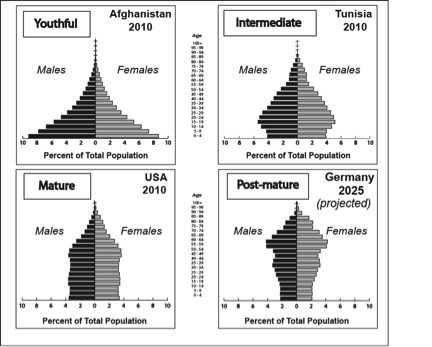 Muslim birth rates are falling rapidly in Europe, as in the rest of the world, but much of the growth in the Muslim share of Europe’s population is already locked into the age structure of Europe’s population. This will increase the prominence of religion in domestic politics and will add a Muslim voice to the conversation about Europe’s foreign policy direction in the Middle East and South Asia. Eric Kaufmann is Professor of Politics at Birkbeck College at the University of London.